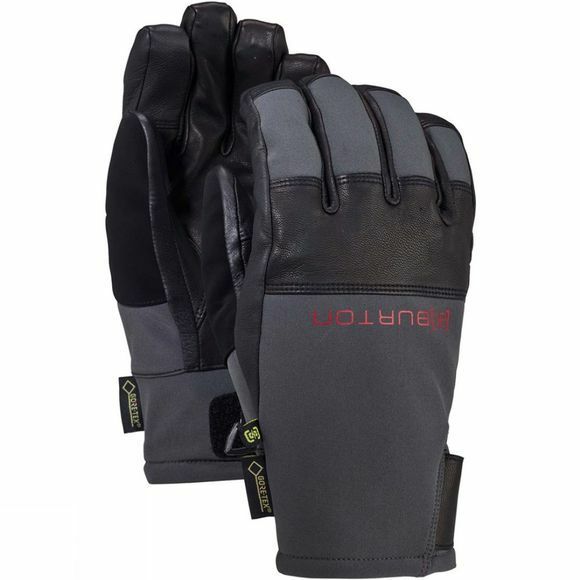 The Burton Men's AK Clutch Gloves are ruggedly weatherproof and provide mid-weight warmth and great dexterity. They have been made using the combined talents of abrasion-resistant DRYRIDE Ultrashell, Gnar Guard genuine leather and a GORE-TEX waterproof/breathable membrane. Riders like Jeremy Jones and Jussi Oksanen often reach for these when they're performing any task that requires fancy finger-work.